Information pages are pages within your diary that are specific to your institution. All of our diaries allow for the inclusion of information pages. You may include as many pages of your own information as you like; bind some at the front of the diary and others at the back – it’s your choice! You may have as many information pages as you desire as long as they are a multiple of 4 e.g. 4, 8, 12, 16 etc. The design of the pages is entirely up to you. You can supply artwork as a PDF or we can offer a professional graphic design service that won’t break the bank. 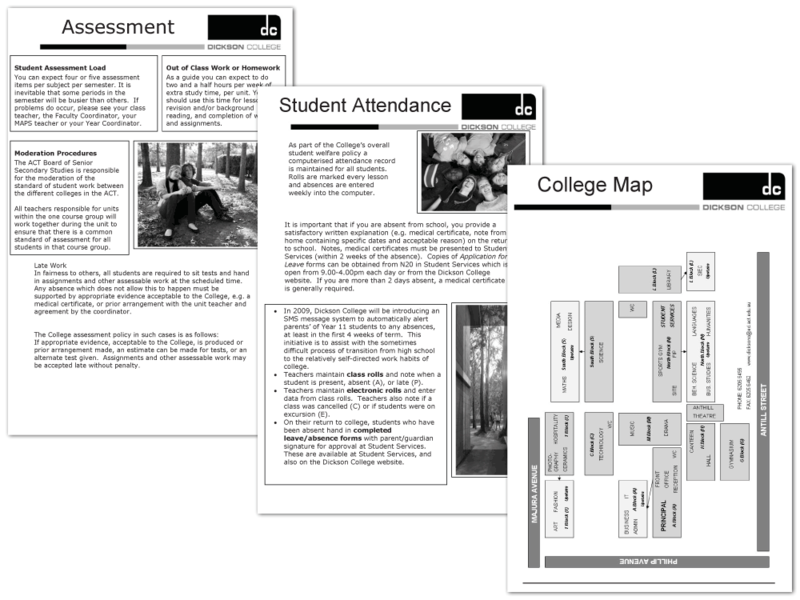 If you select one of our standard layouts, the information pages are normally printed in greyscale to minimise costs, however we can print the information pages in colour if needed. Diaries that have a custom layout can be printed in any colour or on any stock providing you with endless options. For example, if your custom layout is printed in 1 colour, you may have your information pages printed in full colour.